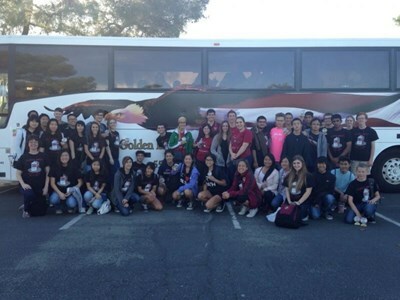 Academic Decathlon competes in ten different academic disciplines based upon an annual theme. Students compete against other decathletes with comparable GPAs, ensuring a rich, equitable competition for all participants. Director Advisor: Katy Merrill and Katie Harding. Mock Trial helps students acquire a working knowledge of law and our judicial system, improve critical thinking and presentation skills, develop analytical abilities and communication skills, and gain an understanding of obligations and responsibilities as participating members of society. Each year, a new set of Mock Trial materials based on an important issue facing America's youth is created and produced including a hypothetical criminal case, summaries of case law, witness statements, official exhibits, and simplified rules of evidence. Cases are released in the early fall and the Fresno County competition occurs in January and February with all schools participating in a minimum of four rounds of trials at the Fresno County Courthouse. At the end of the 2016 -2017 season, the Channel 24 news (KSEE) featured a story about the mock trial program in Fresno County. You will be to see clips of our Golden Eagles competing in the championship round.